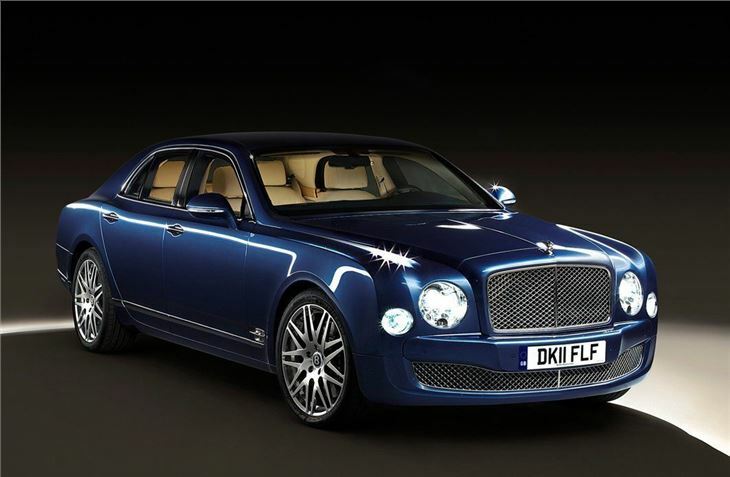 The Bentley Mulsanne saloon is now available with a high specification Executive Interior package, offering integrated iPads, a flip down screen and yacht inspired trim details. 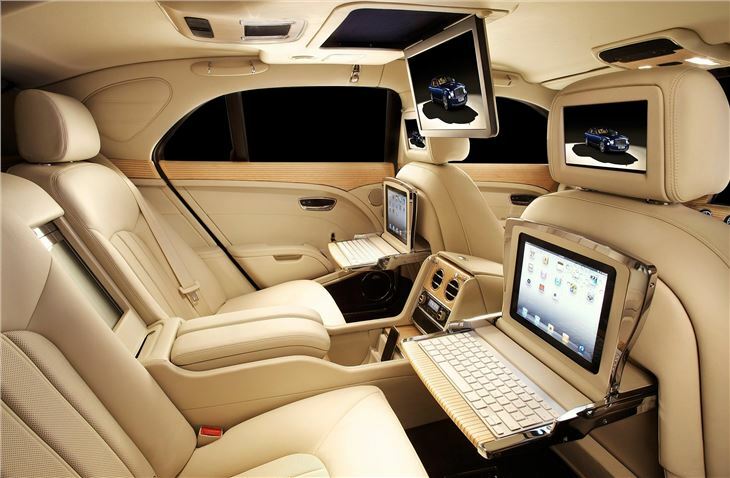 The Executive interior is offered in two forms – iPad and Theatre. The former features two fold down tables, offering rear seat passengers a work space on which to write, and at the touch of a button a pair of iPads is revealed, each with its own wireless keyboard. Users can browse the web and carry on with work while on the go. The Theatre version comes with an electronically folding roof mounted 15.6 inch LED screen. 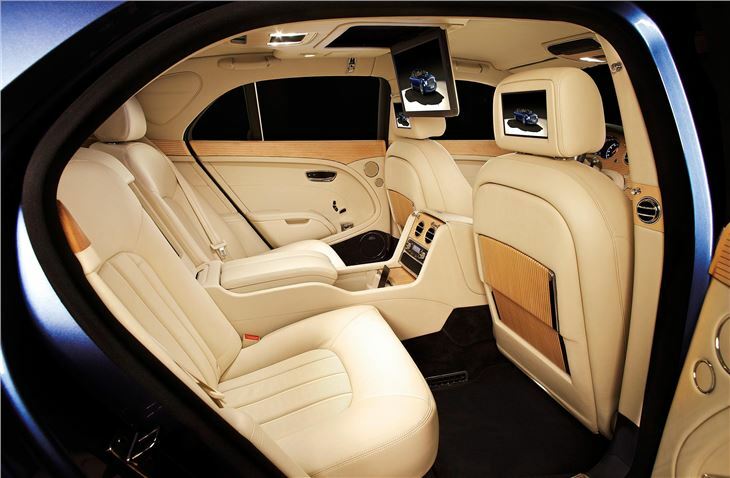 It allows rear seat passengers to watch TV or DVDs in high definition while on the move. An Apple Mac installed in the boot is also hooked up to the screen, so business users can work while on the move. 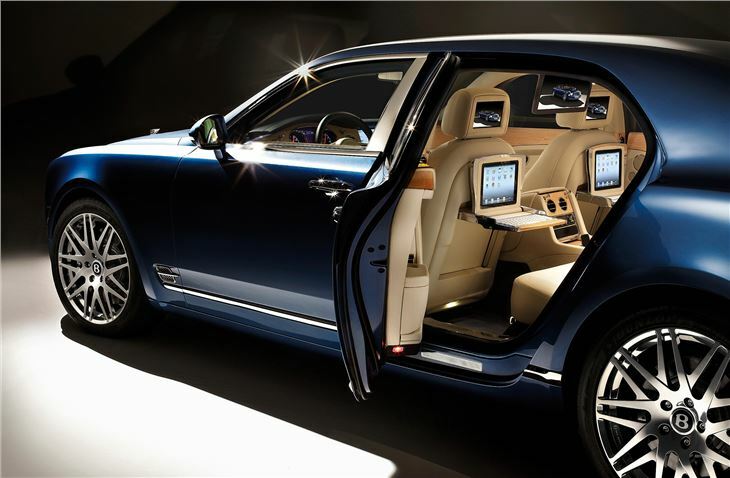 An iPod touch allows users to control all of the installed technology with their finger tip, by means of a bespoke Bentley app, but If you’re not in the mood for work, there’s a bottle cooler with space for two champagne bottles, and a frosted glass door hides three hand blown champagne flutes. 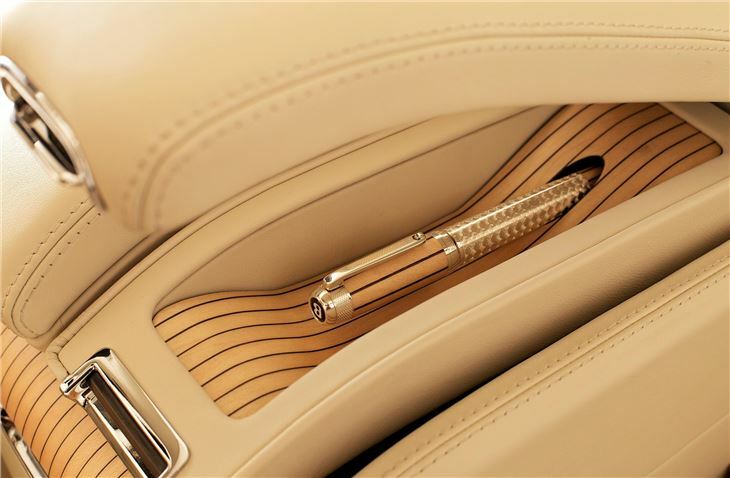 Both the iPad and Theatre specification are offered with some very neat details, including a bespoke Tibaldi pen which can be veneered to match a new Yacht inspired interior trim.